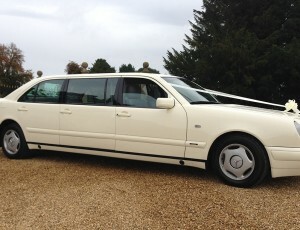 Prestige & Classic Wedding Cars have on offer a range of buses and limousines that are perfect for any upcoming special event, whether it’s a wedding, a party or prom night, browse through the gallery to find the perfect limo for you. Our limos are guaranteed to add that glitz and glam feel to any event and will make for a perfect show-stopping entrance. 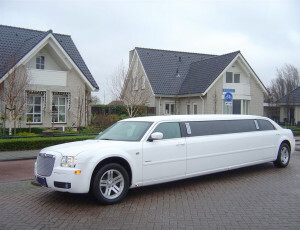 Whether it’s the classic Lincoln Town American limo, a Chrysler, Mercedes or even a Hummer, we have all the options. Customer satisfaction is always our number one priority, therefore, we always try and accommodate for any special requests you may have such as retro rides from the past for example. If you have a favourite, let us know and we’ll do our best to get one for you. 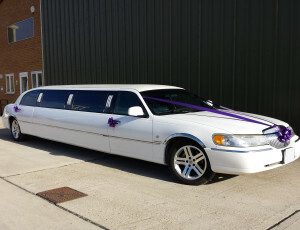 Our entire fleet of cars are driven by polite and suited chauffeurs willing to go above and beyond the call of duty to ensure your prom night is perfect in every way shape or form. All our vehicles are available to hire across the Cambridgeshire, Lincolnshire, Northamptonshire, and the Leicestershire area. We even accommodate for special requests such as themes and colour schemes and provide refreshments as well as other services, to enhance your experience. You can book an appointment to see our entire fleet of cars at our Peterborough showroom, with the ability to peruse through the vehicles at your own leisure with no obligation to book. However, if you see something you’re interested then contact us to book a vehicle by telephone on 01733 348122, email enquire@prestigeandclassicweddingcars.co.uk or use the online booking form located here.